Prices for sails to your Allied Seabreeze 35 sailboat. Resen Sails. 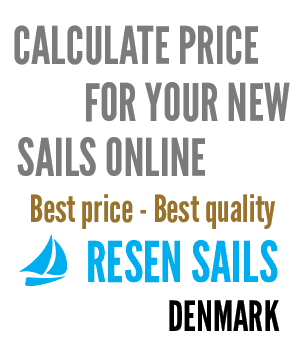 Here you can find prices for new sails and lazyjack/lazybag for your Allied Seabreeze 35. Below you will also find prices for lazyjack/lazybag to your Allied Seabreeze 35. The sail prices are calculated automatically from the data we have for the Allied Seabreeze 35. Therefore the sizes of the sails can vary a little from ex. class rules or the measures of your old sails. This is only marginal and we don't sew without getting the actual measures (from you). When you order new sails for your Allied Seabreeze 35, you should be aware that the measures we have are not necessarily the same measures, that will fit into your boat. You'll have to measure your old sails or rig. This is easy if you use our guide. See our measuring guide here.